Every Vote Has Value, but How Much Is Too Much? A Texas Tribune analysis of spending figures and vote totals in the May 29 primary shows that a high-dollar payout does not guarantee a promising election effort. 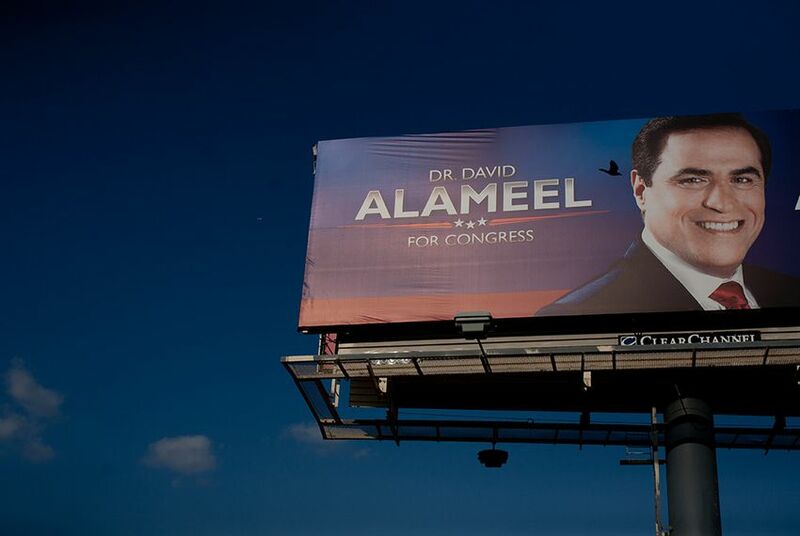 In his failed bid for the 33rd Congressional District, Dr. David Alameel, a dental center mogul, spent more than $2.6 million — almost all of which came from his own pocket. But his investment did not translate to the ballot box. He received 2,064 votes for an average of $1,276.78 spent per vote received. As of the most recent state and federal deadlines, Texas candidates spent more than $90 million to try to secure victories in the May 29 primaries. But according to an analysis by The Texas Tribune, a high-dollar payout does not guarantee a promising election effort. Alameel outspent every other Congressional candidate in the state but finished fourth in the Democratic primary for a new district, which spans Dallas and Tarrant Counties. In the United States Senate race, former Mayor Tom Leppert of Dallas had the highest spending-per-vote figure, paying out $5,220,460 and receiving 186,675 votes, for an average of $27.97 per vote in his failed bid. Lt. Gov. David Dewhurst, who advanced to a runoff, spent $17,064,913 for his 624,165 votes, a $27.34-per-vote average. In District 33, Alameel faced an uphill battle against known figures. Former State Representative Domingo Garcia of Dallas and State Representative Marc Veasey of Fort Worth are headed for a runoff. Almost all of Alameel’s campaign expenditures went toward outreach, including $1.5 million for radio airtime and $490,000 for billboards. “You are having to buy airtime for an eight-million-person area, and only one out of 10 of them are in your district,” Riddlesperger said. Alameel spent the most per vote of any candidate in Tuesday’s primary. The second- and third-highest totals came from the same Democratic primary. Former City Councilman Steve Salazar of Dallas spent $103,688 for 482 votes, which comes out to $215.12 per vote. Chrysta Castañeda, a Dallas lawyer, spent $68,377 for 395 votes, coming out to $173.11 per vote. The top Texas House figure was for Sarah Winkler, who failed to advance in House District 137. She spent an average of $139.63 for each vote she received. Topping the State Senate candidate list was Elizabeth Ames Jones, who spent $76.03 per vote in her unsuccessful campaign. Of those who were successful in their races, Greg Bonnen of Lake Jackson, who ran in the Republican primary in Texas House District 24, spent $80.48 -- one of the highest figures in the House -- and secured a runoff with Ryan Sitton. (Mr. Sitton spent only $30.40 per vote.) The award for the leanest campaign may go to Martha M. Dominguez, the winner of the Democratic nomination for State Board of Education District 1. She spent only $45 total and successfully fended off not one but two rivals, who spent a combined $9,000.